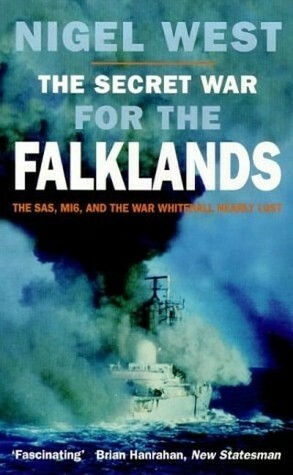 The SAS, MI6 and the war Whitehall nearly lost. 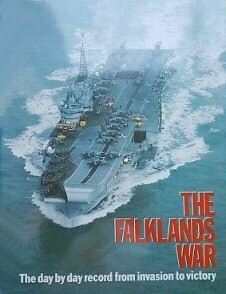 The Falklands conflict was the first time the Royal Navy had been engaged by an enemy since 1945. It was a test of the world's latest air and defence systems and a unique opportunity to push competing fighters to their limits. 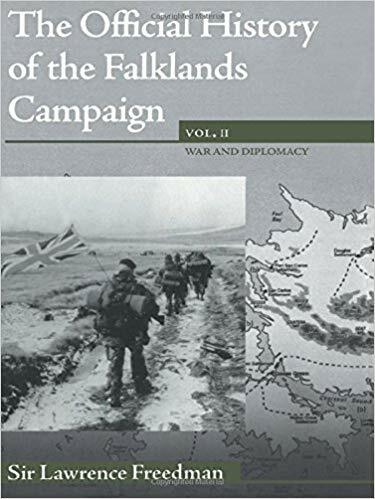 This book focuses on Operation Corporate, the task force assigned to retake the Falklands, and on the clandestine efforts to deny General Galtieri the one weapon that could have turned Corporate into a humiliating defeat for Britain, the French manufactured Exocet missile. This copy has been signed by the author. The origins of the April, 1982 war. The book describes the long dispute between Argentina and Britain over the sovereignty of the Islands, the difficulties faced by successive governments in finding a way to reconcile the opposed interests of the Argentines and the islanders, and the constant struggle to keep the Islands viable. In March 1982 what started as an apparently trivial incident over an illegal landing by scrap-metal merchants on the island of South Georgia turned into a major crisis. Drawing on official papers the author charts the growing realisation within the British government of the seriousness of the situation, culminating in the Argentine invasion. In this second volume, War and Diplomacy, the author provides a detailed and authoritative account of one of the most extraordinary periods in recent British political history and a vivid portrayal of a government at war. After the shock of the Argentine invasion of the Falklands in April 1982, Margaret Thatcher faced the crisis that came to define her premiership as she determined to recover the islands. 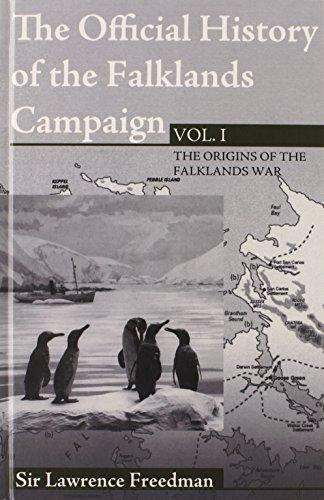 The book covers all aspects of the campaign − economic and diplomatic as well as military and describes in dramatic detail events such as the sinking of the Belgrano, the battle of Goose Green and the final push to Stanley. This collectible volume relives the dramatic events in the Spring of 1982, when the Argentine Junta, desperate to restore its popularity at home, took the extraordinary decision to invade the Falkland Islands. The conflict dominated world headlines as British forces conducted a bravely fought and skilfully directed military campaign to recapture the Islands. This is a chronological account of the campaign and the key factors that enabled Britain to succeed against all odds. Please note that the illustration to the right does not show the copy offered. This contemporary partwork has been professionally rebound in black boards. 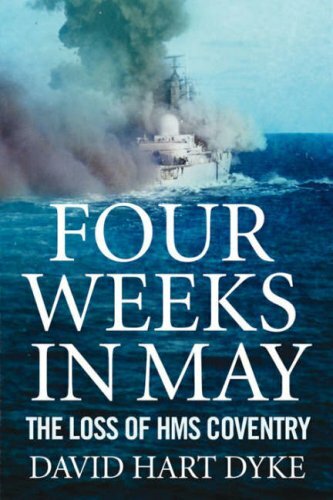 On 25th May, 1982 the destroyer HMS Coventry, commanded by the author, was attacked by Argentine A-4 Skyhawk aircraft whilst on anti-aircraft picket duty in Falkland Sound. She was hit by 3 bombs killing 19 of her crew and leaving many more badly injured. Capsizing within minutes, she would finally sink the following day off Pebble Island. 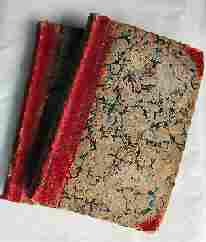 This book was adapted by the BBC into a documentary 'Sea of Fire', which was shown in June 2007.